The Dog Market is a great little shop, with competitive pricing and plenty of upscale toys and treats for your dog to devourer. The customer service is exquisite, I am always greeted with a smile. I don't own a dog (even though it is my life goal to own a basset hound), but my girlfriend fosters cats and we went in there looking for a litter box, and found one at a very reasonable price. The Dog Market also has a doggie bakery section, filled with treats as high as the eye can see near the counter. These gourmet treats make me wish I was a dog. There is also a grooming section to clean up your mutts and meows. I highly recommend The Dog Market to any dog or cat owner in the area. Thanks for your comment. 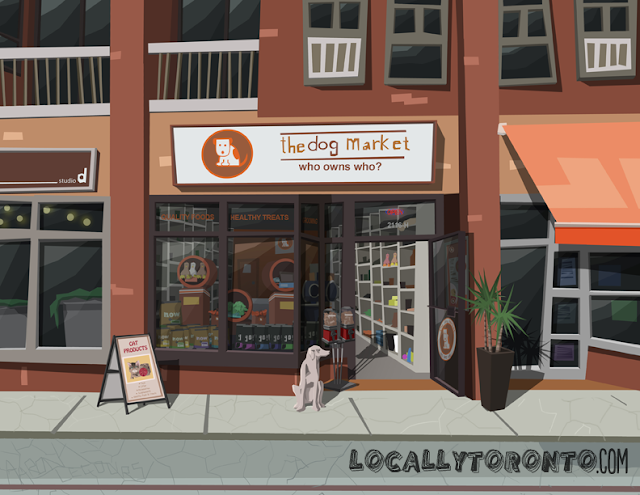 The Dog Market has certainly become a staple of dog and cat lovers in the beaches.